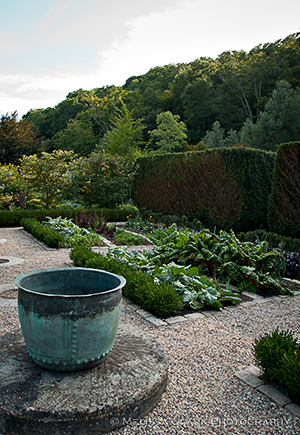 About a month ago I received an e-mail from a colleague in the design field asking for assistance with an intriguing project scheduled for that iconic Washington, DC garden, Dumbarton Oaks. The search was on for tree branches and saplings that could be fashioned by landscape artist Patrick Dougherty into an installation for one of the most famous areas at Dumbarton, the Ellipse. As some of you may know, I recently stumbled upon one of Dougherty’s other works at the Morris Aboretum, called the Summer Palace. 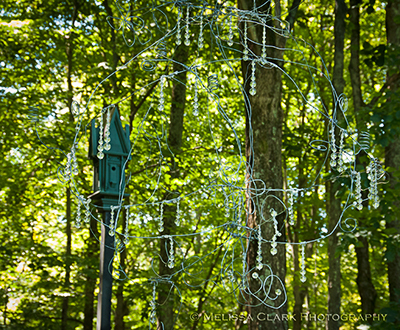 It is mysterious, graceful, organic, and – well, just beautiful. So I couldn’t wait to see what he had in mind for the Ellipse. Last Saturday, having been politely rebuffed in my attempts to get a ticket to his talk at Dumbarton this week, entitled “Primitive Ways in an Accelerated World” (no space available), I decided to head to the garden and see if I could at least see what was going on. My timing was perfect – not only was the project almost complete (although not quite), I had a chance to meet Dougherty himself and get a few details about the construction materials and process. First, let’s set the stage. 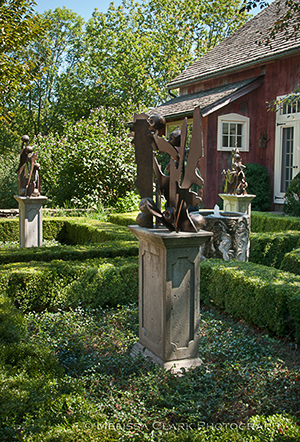 In the words of Dumbarton’s website, the Ellipse was designed by Beatrix Farrand, Dumbarton’s designer (and the first woman American landscape architect), to be “one of the quietest and most peaceful parts in the garden,” as a central ellipse of grass surrounded by a high wall of American boxwood Buxus sempervirens. 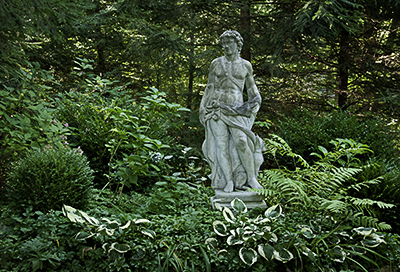 In 1958, Alden Hopkins replaced the declining boxwood with a double row of American hornbeams, Carpinus caroliniana, clipped into an aerial hedge sixteen feet high and fifteen feet wide. 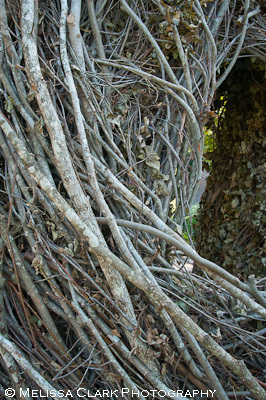 A view of part of the clipped hornbeam hedge in the Ellipse in 2004. Even when bare, the pleached hornbeam hedge makes a powerful architectural statement in the garden. 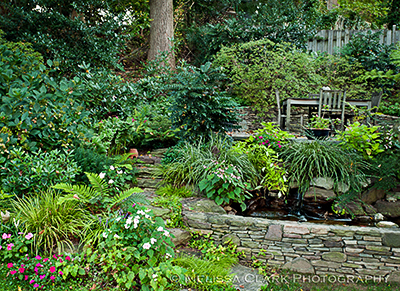 This area (which also now includes a central fountain as a focal point) provides a place to rest, reflect and be still. 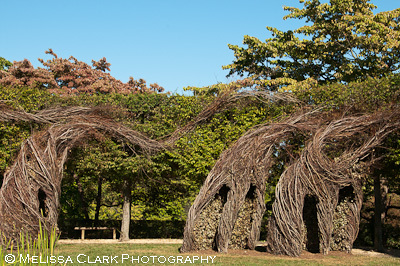 Its static, monumental nature is what has prompted Dougherty to create a series of what he calls “running figures,” grounded at the base but lacing themselves up into the pleached, leafy canopies of the trees. 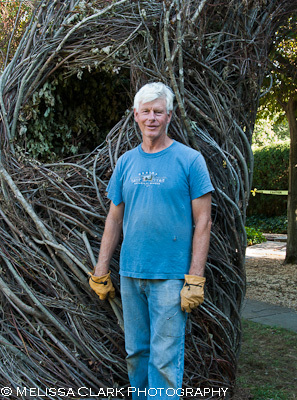 Dougherty's woven pieces reach up into the upper canopies of the pleached hornbeam hedge, interrupting their mass and creating a playful sense of motion. On the day I visited, Dougherty and his team were about two days away from completing the project. 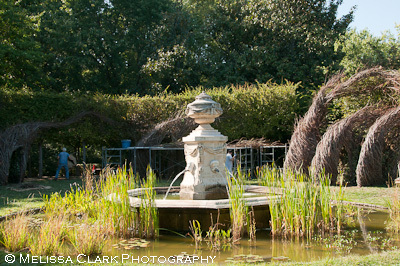 Volunteers dotted the lawn area, completing the day’s work weaving sapling material in the bases of individual figures, then clearing away leftover materials so the area would be clean before the next day’s efforts started. 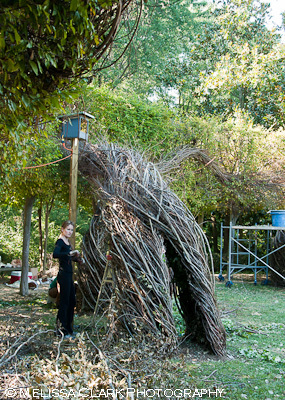 A volunteer takes a break from sculpting one of the sapling figures on the Ellipse. Behind the fountain to the left, the scaffolding used to build the higher portions of the figures is visible. I asked Dougherty what kinds of sapling material he was using. In addition to Cornus florida (flowering dogwood) pieces that I could see, he said they had received maple, elm, hornbeam (Carpinus betulus and C. caroliniana), and sweetgum saplings. All were locally found, many from a farm in Buckeystown, MD (near Frederick). 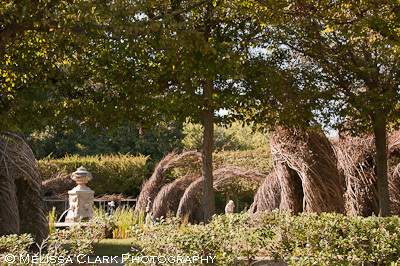 A closer look at the wide variety of saplings and branches used to construct the "running figures" installation at Dumbarton Oaks. 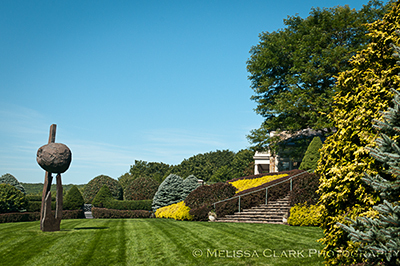 The installation, which has been named “Easy Rider,” will be on display through this fall and the winter and spring of 2011 “until it becomes naturally weathered and unable to maintain its stability,” according to a Dumbarton Oaks press release. The Summer Palace, which Dougherty described to me as less sturdily built than these figures, is over two years old. Given that fact, I wouldn’t be surprised if this installation lasts far longer than that. Do try to visit if you’re in the area. 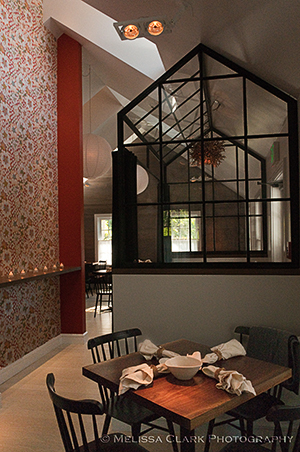 Dumbarton’s hours, which are relatively limited, can be found on its website. More information about Dougherty and his work is available on his own website, here. 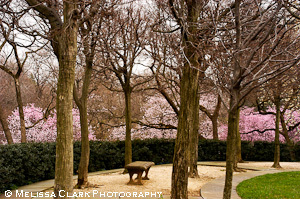 Remember last May’s Open Days tour in DC, sponsored by The Garden Conservancy? 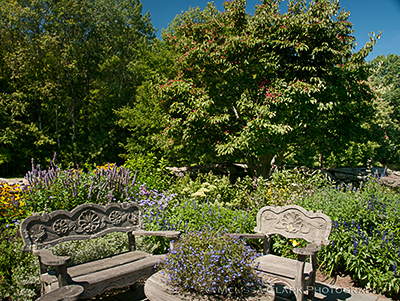 Well, mark your calendars again, for Saturday, September 25th, when five more gardens will be on display as our local Open Days events draw to a close. 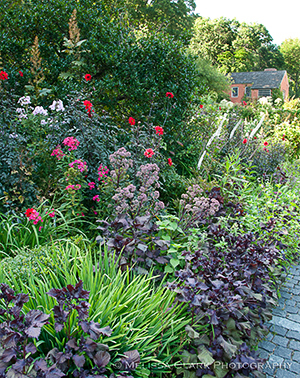 Four of the gardens are in the District of Columbia; the other one is in the Woodside Park neighborhood of Silver Spring, Maryland in close-in Montgomery County. Here’s a little preview of the gardens. 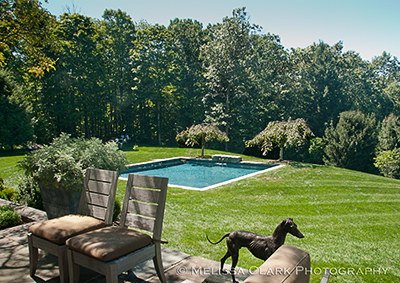 Landscape designer Corinna Posner has two gardens on the tour – her own and one next door to it. A wooden arbor and gate connect them. 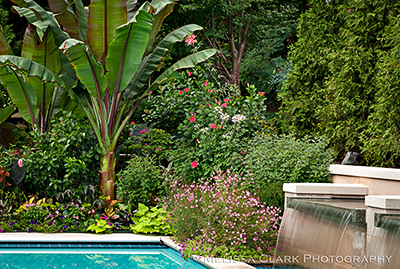 Corinna’s garden is overflowing with juxtaposed colors, textures and foliage, all informed by a European design sensibility. 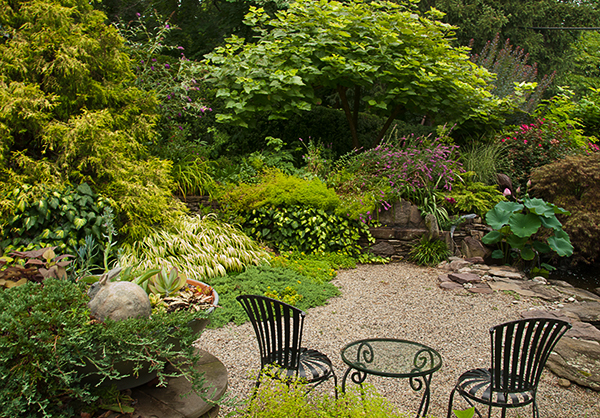 Corinna Posner's back yard garden is a visual feast. 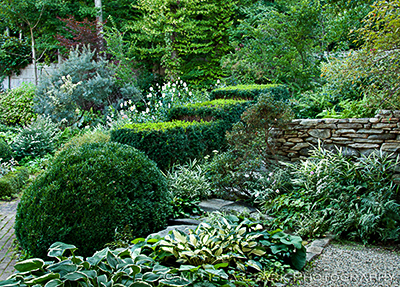 Her neighbors’ garden is smaller in scope but full of wonderful stone walls that are both functional and aesthetic. 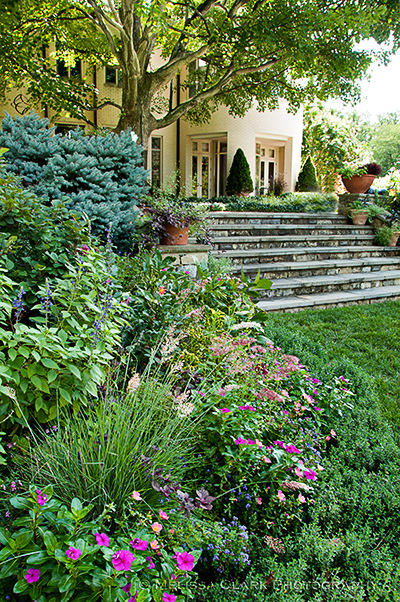 The designer left the owners plenty of space to play with annuals in mixed beds, and even the shady parts of the garden have mixed plantings that set off the stone work beautifully. 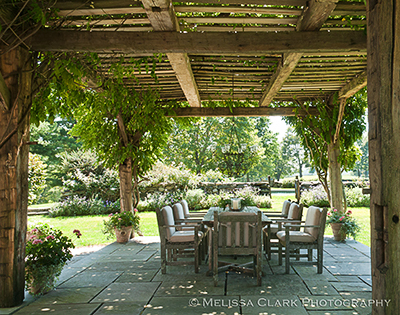 The shady side of the Kendig-Dumont garden with its dining terrace and raised planting beds. 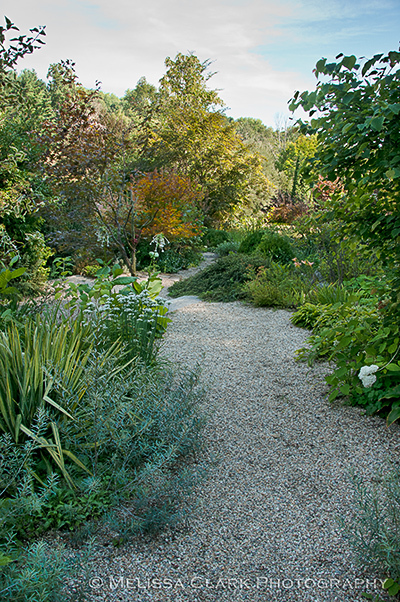 and to wander through the developed part of a 2.5-acre garden that belongs to Mr. and Mrs. Robert Duemling, near American University. 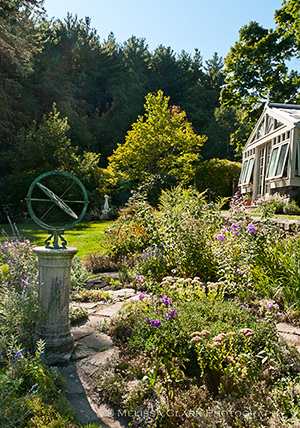 The Duemling’s gardener grows most of the thousands of annual plants on the premises either from seeds, plugs, or cuttings, and the borders change every year. 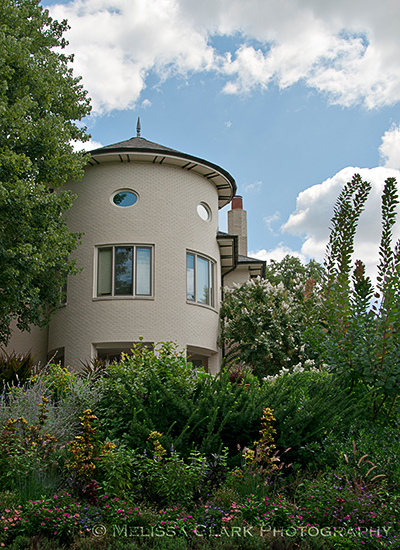 A view of the "turret" wing of the Duemling house from one of the lower terraced areas. 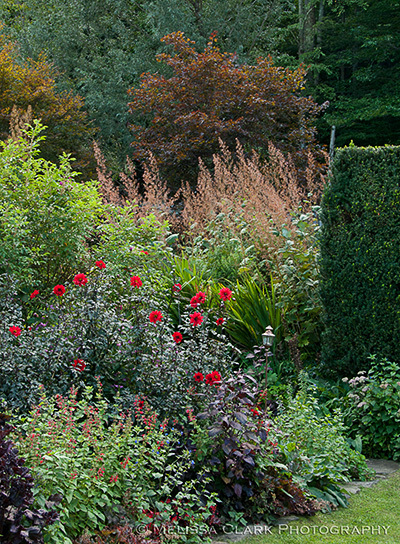 One of the mixed borders, filled with shrubs, annuals, and perennials. 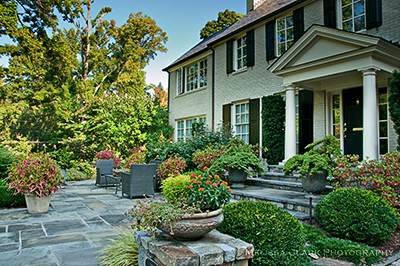 The final garden, located in Silver Spring, Maryland, is nestled in a wooded neighborhood on a lot with a number of level changes. 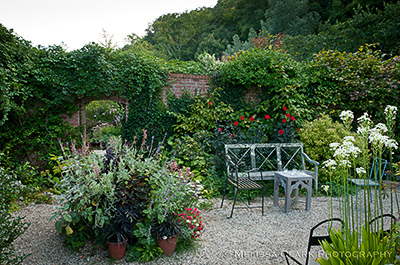 The designer, Mary May, has turned the challenges presented by the site into an opportunity to create a number of garden “rooms” around the house, including a variety of seating areas for small gatherings as well as a lower level of mixed border plantings. 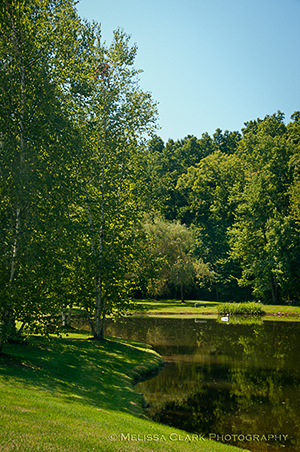 For now, a view of the front yard, taken last September, will have to set the stage. 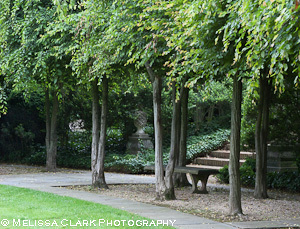 The front terrace of the Hester garden, one of the beautiful gardens scheduled to be open in the DC area on September 25th. 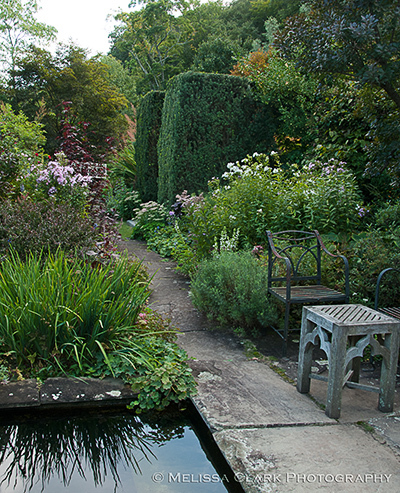 For more information on each of these gardens, including their addresses, visit the Open Days website. 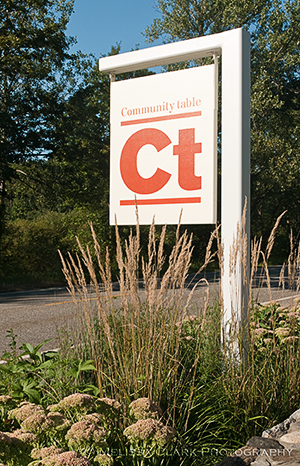 Admission is $5 per garden, although the Posner/Kendig-Dumont gardens count as one (what a bargain!) for purposes of the tour. 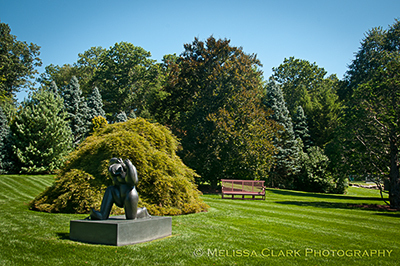 Gardens will be open, rain or shine – hope to see you there! 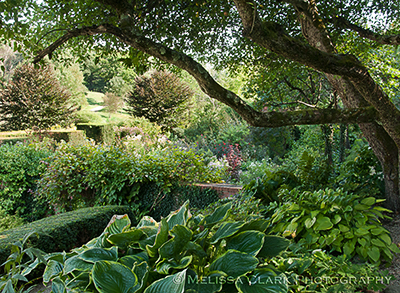 Photos from the Open Days gardens in DC are included in my book, The Garden Is Open. For a preview or to purchase a copy, please visit the “My Books” page.